Central cord syndrome is caused by pressure on the spinal cord. A patient's general state of health affects her or his central cord syndrome prognosis. Central cord syndrome (CCS) is a neurological condition which manifests in the form of weakness in the upper extremities, and lesser impairment in the lower extremities. It is caused by a partial lesion in the cervical area of the spine which impairs some, but not all, function, allowing some signals through the spine while others are blocked. Most commonly, central cord syndrome is seen in older patients with cervical spondylosis, although it can occur in patients of all ages. The prognosis varies, depending on why someone has developed central cord syndrome and her or his general state of health. This condition is caused by pressure on the spinal cord which results in injury. Hyperextension injuries are a common cause, although it can also be the result of trauma which causes pinching of the spinal cord without actually damaging the spine. People with central cord syndrome experience a decrease in sensation and muscle control in their upper extremities, and may develop bladder problems such as urine retention. When a patient presents with this condition, medical imaging studies may be ordered to find out more about what is happening inside the patient's spine, and an interview will be conducted to identify risk factors for central cord syndrome. The doctor's goal is to determine what is causing the problem, for the purpose of finding an appropriate course of treatment. 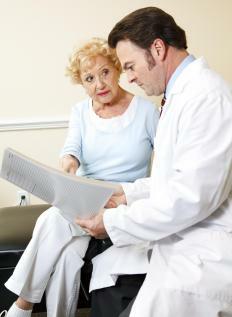 Treatment is not standardized, and may vary considerably depending on care provider and situation. Some examples of treatment options include immobilization to prevent further injury, anti-inflammatory medications to reduce swelling, gentle stretches and physical therapy, and sometimes surgery to address the cause of the central cord syndrome. Depending on why the patient developed the condition, it may be possible to regain function, or there may be lingering neurological problems. These problems can be treated with physical therapy to help patients grow stronger and to learn adaptive skills which will help them enjoy independence despite their neurological issues. Any sudden onset of weakness is a cause for concern. Sudden muscle weakness and lack of muscle control can indicate that the brain or spinal cord is damaged. Prompt intervention may be needed to address or reverse the damage, with the prognosis for people with neurological problems becoming worse the longer the problems are left untreated. A neurologist should be asked to evaluate a patient with problems like widespread muscle weakness, lack of sensation, and loss of muscle control. What are Different Types of Treatment for Spinal Cord Injury? What is Central Pontine Myelinolysis? 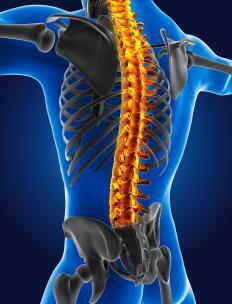 What are the Most Common Spinal Cord Disorders?